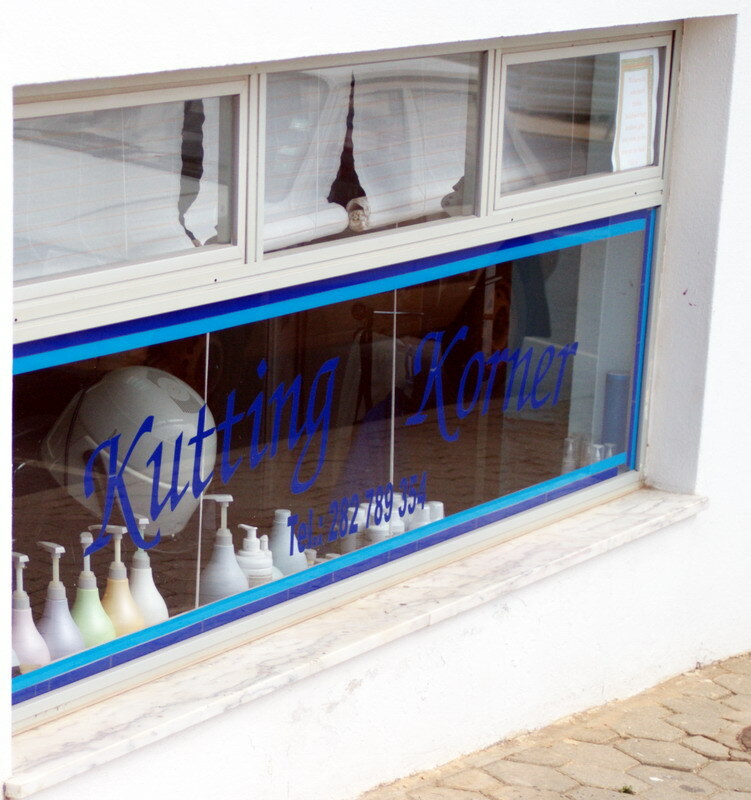 Here you will find all of the Shops and Services I have found in Praia da Luz. It should be pretty much a complete list as I endeavour to check and update it at least on a quarterly basis ( when I visit ), but I know there must be at least one I've missed. 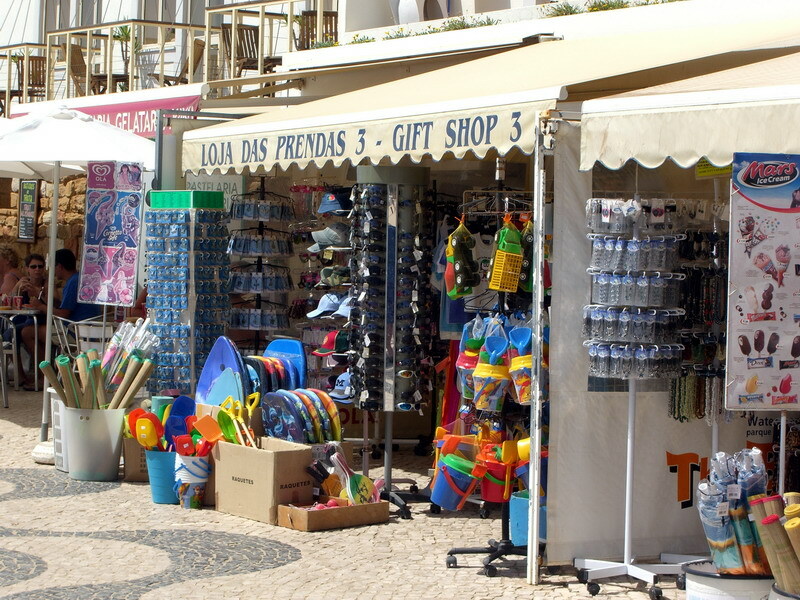 Other than the essentials there is a fair mix of shops in Luz, however most are naturally tourist gift shops. For a more varied range and superstore types you can always visit nearby Lagos ( only 10 minutes away by car, bus or taxi ). 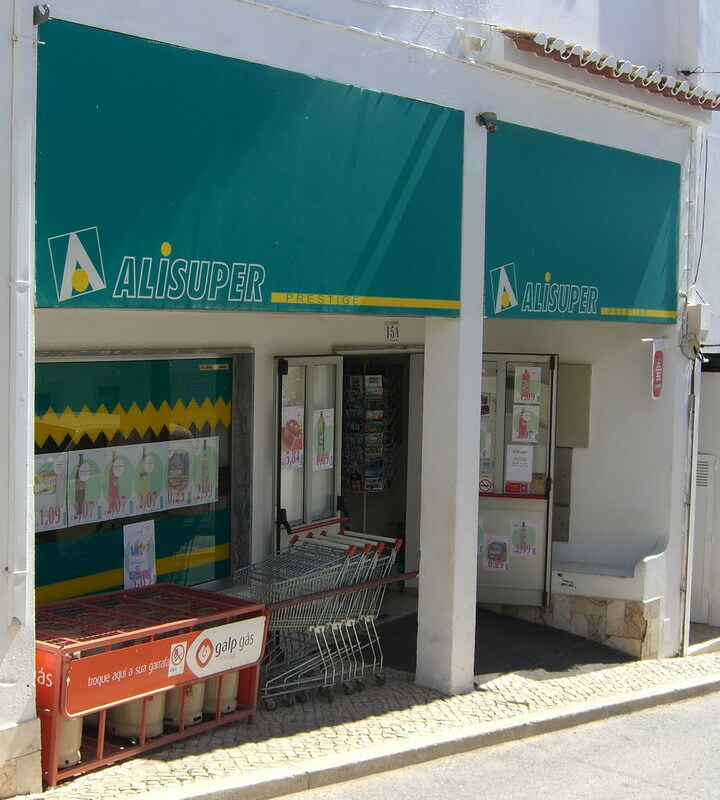 See the foot of the page for a list of the supermarkets in Luz and the major Supermarkets in Lagos, or again here for a separate page with its own map. Also see here for other shops / services that are nearby that stock goods that are not ( as far as I know ) currently available in Luz. If you know differently, please tell me. Any remarks included are my own views. You may not agree. So why not try them and let me know if you disagree with my comments or have some of your own you think I should include. If you are a proprietor and wish to add / amend any detail, let me know by clicking on the link below. Click on the index name ( e.g. Craft Shop ) to go to more relevant details in the section below the map. In the arcade between the cafe's. Part of the Oceanica complex. If you are already listed use the link to update / amend your entry. Click on the letters to the right of the shop name e.g. ( R ) to show the location on the map. Pastry, Bakers. Small Cafe / cake shop. Note: Currently up for sale. English speaking staff. Commission charged on exchanges. No credit card transactions over the counter so you need to use the outside ATM (Cash point). Note that the ATM has been known to empty on / during national / bank holidays. 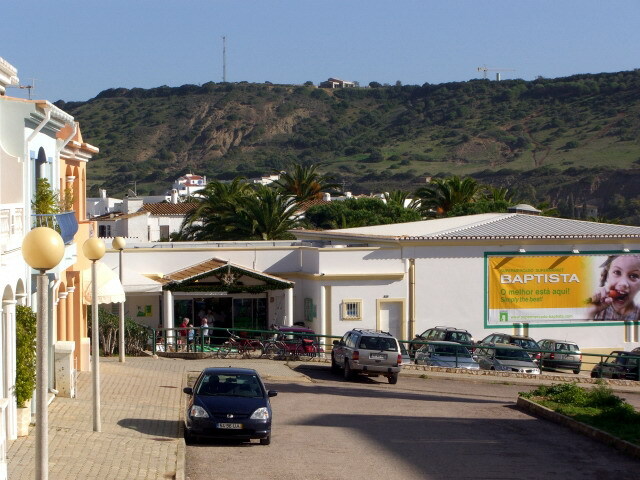 An alternative cash point is situated inside the Baptista supermarket five minutes walk up the hill (Rua de 5 Abril). Some Bars / Restaurants may accept sterling but it will be at a poorer rate of exchange. The currency is the Euro, (seven banknotes and eight coins). Where: On the corner of the town square, on opposite side of the road to the Church. Smart, bright shop. Up to date fashions, men / women. Swimwear. Where: Located n the Commercial Centre. Just off Rua Direita, next to the Pharmacy. 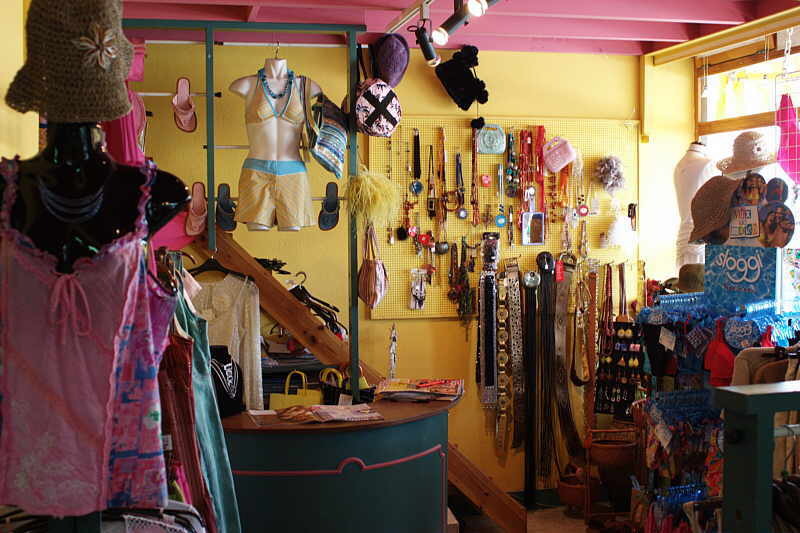 More of a fancy gift shop, has some good T-shirts, wraps, swimwear etc. Where: On the promenade toward the beach bar. Open: Mon - Fri. 10.00 - 18.00. Sat. 10.00 - 14.00m. Where: Part of a parade of shops as one-way system begins, going into Luz via the old road. Opposite the junction with Rua da Praia. Porta do Paraíso - Loja O, Rua Direita. Tel: (+351) 282 788 630. Fax: (+351) 292 788 635. Builder, General Handyman. Barbeque construction. Tel (Mob): (+351) 964 478 269. 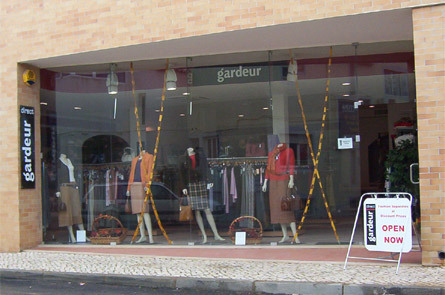 Where: Just inside the entrance ( the one opposite the Baptista Supermarket ) to the Commercial Centre. Where: On the corner diagonally opposite the church. Tel: (+351) 282 789 510. What's On now. The site is in Portuguese but you should be able to work it out. There is also an advertising billboard on the sea front by the Habana / Lazuli cafes that will tell you what's currently on and when ( normally 21.00 /22.00 ). Where: Up the hill from the bank. Edificio Luztur (Commercial Center) Rua 3rd de Mai (Rua Espiche). Internet access - weekly packages available. DVD rental, Fax service, Scanning & Printing. Greeting cards & small gifts. Where: In the commercial centre by the Pharmacy. Tel: (+351) 282 788 210. Ceramic animals, batiks, wood & stone carvings of African animals, birds. Crafted chairs, jewellery etc. Imported directly from Africa. Packing & shipping can be arranged. Just below the Dolphin restaurant. Tel. Mobile: (+351) 967 791 164. Incense. Tattoo parlour. Arts, Crafts and Gifts. Where: Just up from the bank. 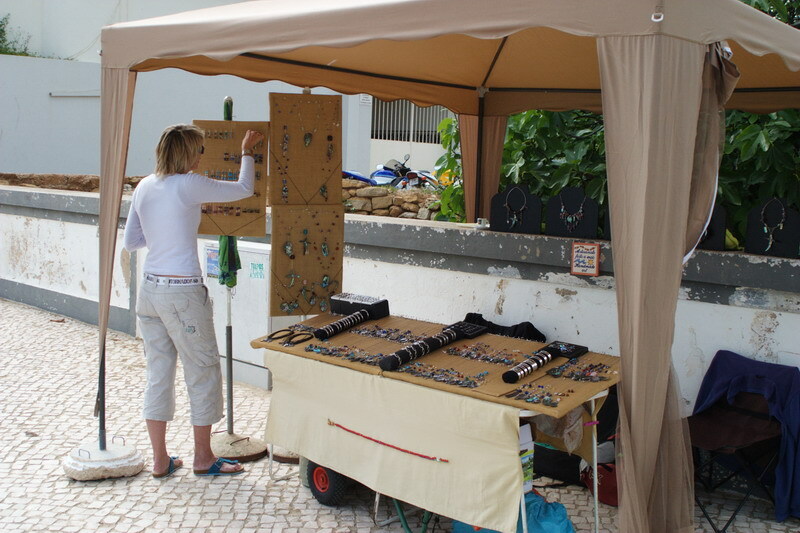 There are several craft stalls on the promenade, selling jewellery and henna tattoos etc. They are more likely to be about during the high season. Dr Peter Steinhausen. One of Luzs' two dental practices. 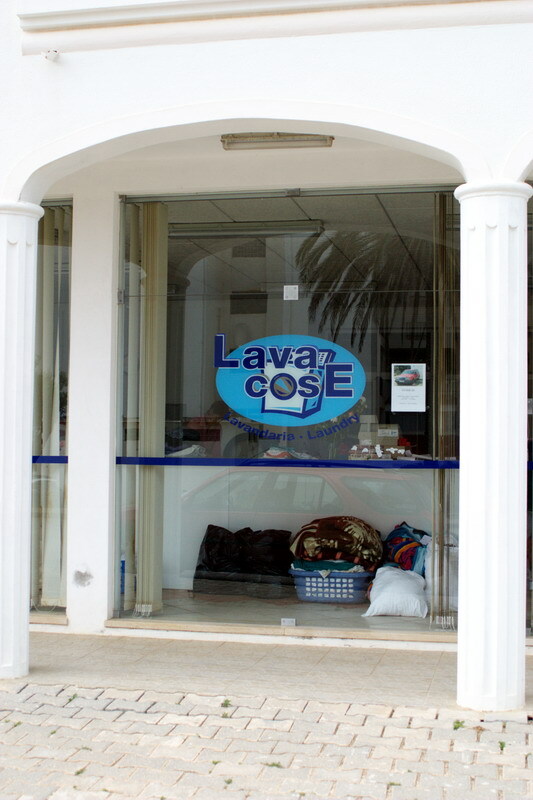 Where: Next to the O'Celeiro supermarket. Rua 25 de Abril, . One of Luzs' two dental practices who speak fluent English. Where: Opposite Luzdoc medical centre. This is a modern surgery just off the town square. Note: Medical insurance is advised, even though EU citizens can obtain a refund of most medical costs by using form / card E111 ( forms available from Post Offices in the U.K.). Where: Up the hill opposite the bank. Rua 25 de Abril, 12. Taxi collection service or home visits. Tel (Mob): (+351) 933 800 082. Open: Monday to Thursday. 10.00 - 22.00. Friday to Sunday. 10.00 - 24.00. Tel: (+351) 282 789 191. A general electrical goods shop. Telly's, HiFi etc.. Photographic supplies (Film, Batteries etc.). Where: Opposite side of the road to the Baptista supermarket, beneath the apartment block / Commercial Centre. See the Property Services Page. 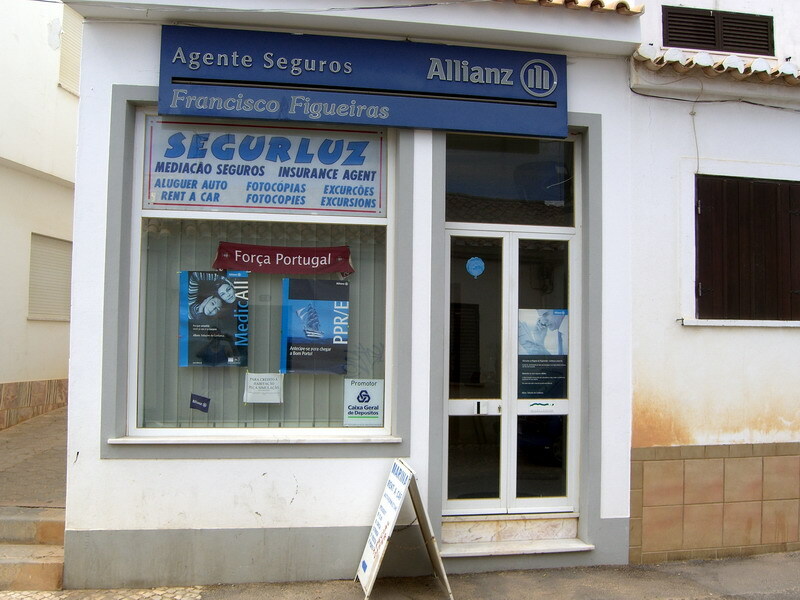 Where: Rua Direita, Praia da Luz. Tel: (+351) 282 788 132. Decor shop, unique tables, chairs, beds, one-off lamps, wall decorations etc. Wrought Iron work. Handmade to your requirements shipped anywhere. 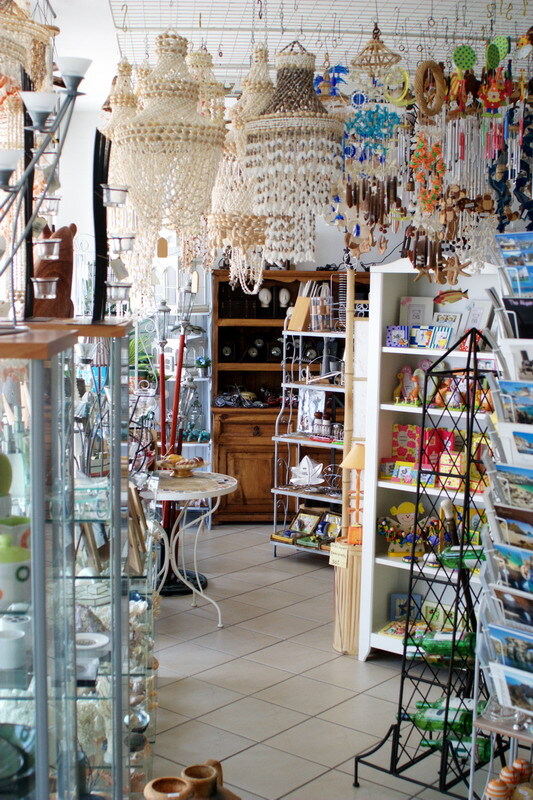 Smaller items, candles, throws Locally made genuine silver & gemstone jewellery made with semiprecious stones. Plenty of Art on show. Where: Between Kellys bar and The Bull. Rua da Calheta, 4D 8600-154. Tel: (+351) 282 788 224. Mobile. (+351) 918 660 005. Fax: (+351) 282 789 022. 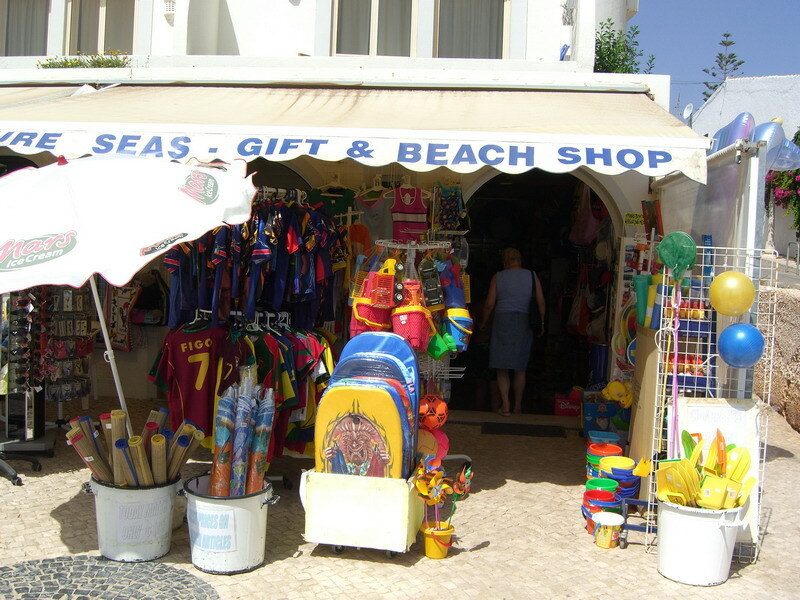 General Gifts, clothing and beach supplies. 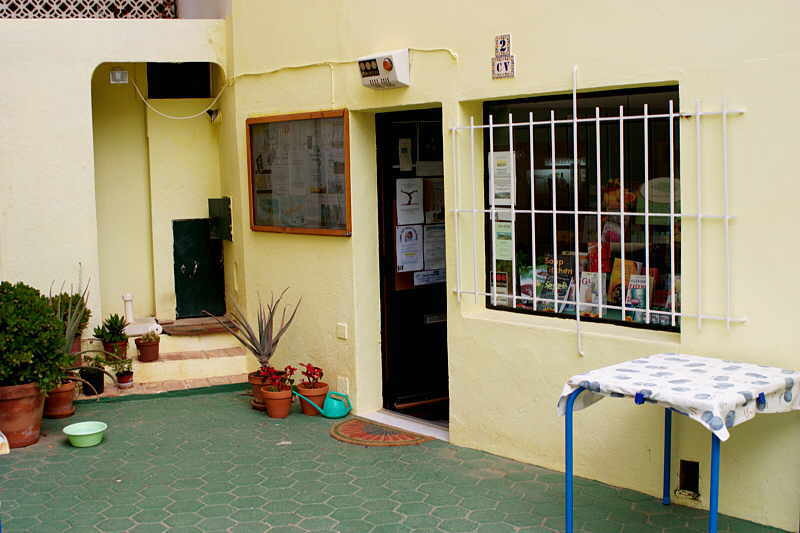 As well as being a gift shop it seems to do car rental, tickets for various sightseeing trips. Where: About halfway along the promenade in the small parade of shops. Women's Fashion. A small Gift / Jewellry shop. New in 2007. Where: In the main square, diagonally opposite the bank. Tel: (+351) 933 440 033. A fair sized gift shop. Beach goods. Where: The beginning of the parade of shops opposite the Baptista Supermarket. General Gifts, clothing and beach supplies. Where: About halfway along the promenade next to above. Where: On the hill opposite the Habana cafe. 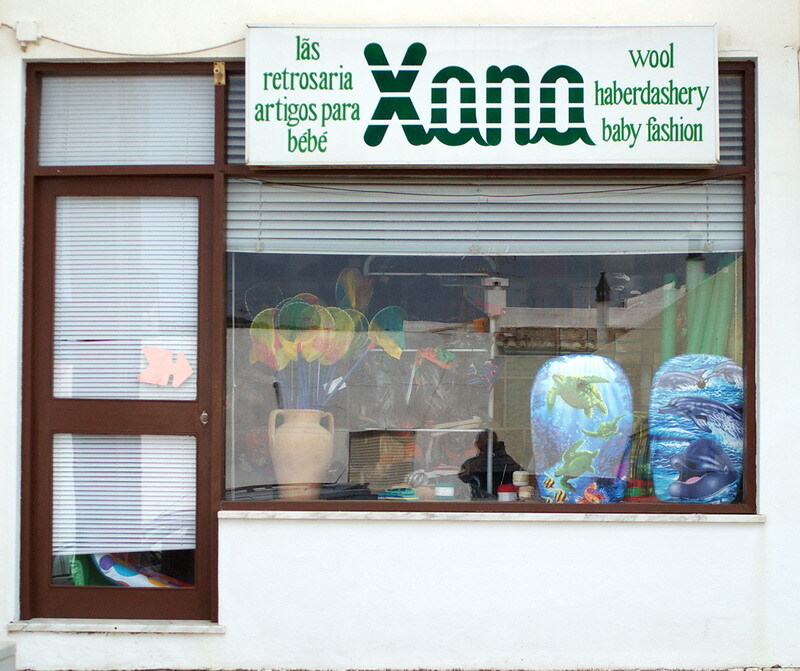 Haberdashery, Wool Shop, Sewing items and Baby Fashion. Smart Hairdresser and Beauty Salon. Basically a £ shop but good a place for those elusive bits e.g., bath plugs, light bulbs etc..
Vitamins, supplements, natural body care, aromatherapy, herbs, tinctures, organic foods & gluten free products. Health care books. Vegetarian take-away. Where: Between the Royal Garden Chinese and the main square. Tel / Fax: (+351) 282 788 353. Beauty Centre comprises of 3 treatment rooms. Air conditioned, fully equipped gym. Indoor mineral pool. Jacuzzi. Sauna. Where: On past (A) up the hill, part of the Oceanica group. (formerly Pirate) 6 computers, ADSL, Laser jet printer, scanner, photocopying, web cams, headsets, fax plus Computer repairs. Open: Mon.- Thurs. 10am-10pm. Fri.-Sun. 10am-midnight. Where: Halfway up the Rua Direita. Where: Next to the Baptista supermarket. Handy for beach reading material. Exchanges and outright purchase. Where: Located on the ground floor of the Commercial Centre. Where: 7 Vivenda Joao Manuel. You can buy your Euromillions lottery tickets here. Also the Portuguese National Lotto 1. Lotto 2. Tombola. Open: Mon - Fri 09.00 to 19.00. Sat - 09.00 to 13.00 & 14.30 to 18.30. Sun - 09.00 to 13.30. Where: At the entrance to the Commercial Centre (opposite the Baptista supermarket). Where: Inside the arcade (Vila Sul) between the Habana and Lazuli Beach cafes. Prescription, Fashion and Sun glasses. Tel: (+351) 282 788 859. Look out for a green cross sign. Pharmacies are open during normal business hours, there is one pharmacy in every town that is on duty through the night, it's address is posted in the window of every other chemist and in local newspapers. Stamps can also be bought from news stands and tobacconists (e.g. on the beach front). Open: It is open from 0900 - 1800 but is closed at weekends and bank holidays. Where: Near the centre of the town on the Rue Direita (the old road to Lagos). Where: On the right hand side coming up from the beach front. 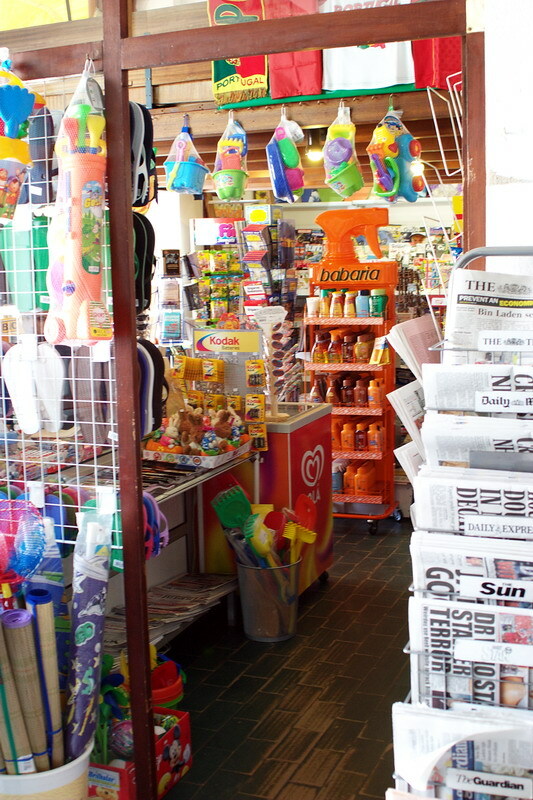 A large semi-permanent beach stall. Hats, belts, beachwear. Where: On the corner, at the start of the Promenade, opposite the Habana cafe. 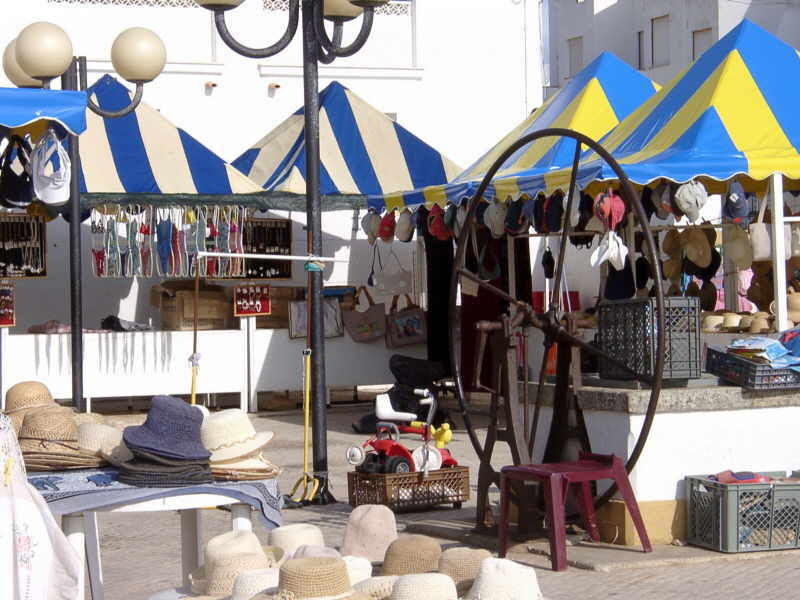 Seasonal tourist stalls. 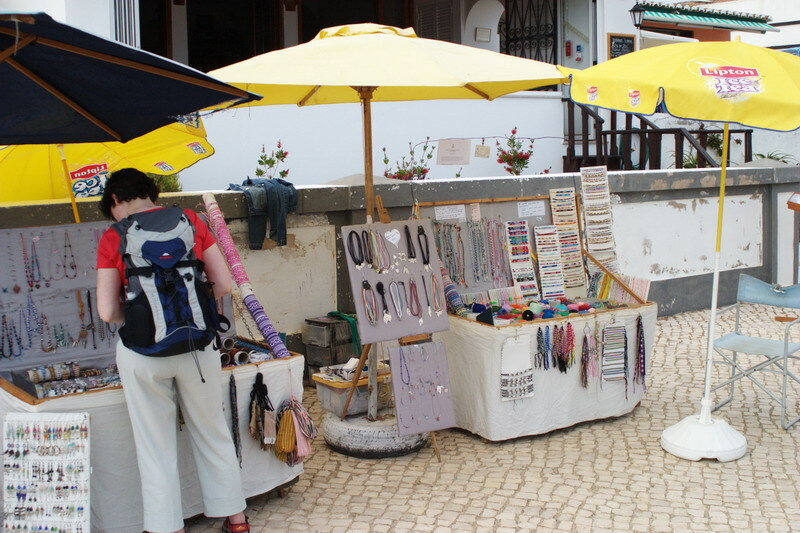 Anything up to half a dozen temporary stalls set up on the promenade daily, mainly during the peak season. Jewellery, henna tattoos etc. (formerly Pirate) 4,000 DVD’s (holiday rentals). Laser jet printer, scanner, photocopying, web cams, headsets, fax plus Computer repairs. Tel: (+351) 282 789 191. Mobile: (+351) 933 590 652. Tel: (+351) 282 789 231. Bakery, Fruit, Meats, Groceries, Wines & Beverages, Frozen Food, Deli counter, Coffee, Tobacconist. English speaking. Cash point in foyer. Open: Normally 0900-1900 Monday to Saturday, and 0900 - 1300 on Sundays. Where: Opposite the church. Ave. dos Pescadores. Where: On the right, up the hill from the beach front. 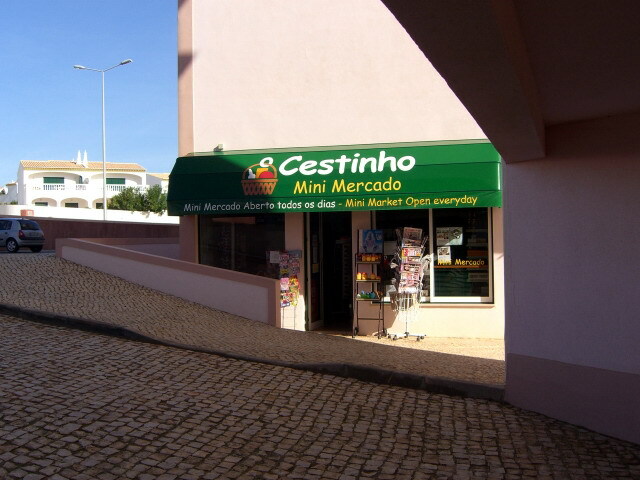 A 'mini mercado', small supermarket. Essentials and daily fresh bread. English Newspapers. Wines and Spirits. Telephone cards. Where: Located to serve the Estrala complex. Through the archway to the complex from the Rua 5th Abril. Open: Everyday 08.30 to 19.00. Sundays 09.00 to 16.00. Might not look much from the outside, but is a fair size, clean and tidy and covers the essentials. Bread, Milk, Fresh Fruit and Vegetables. It also does hot spit roast chicken (recommended). Tel: (+351) 282 788 550. Situated on the Luz side of Lagos. Mentioned here as it is the largest supermarket nearby. Straight across the first roundabout as you enter Lagos (from Luz), on the right side of the road at the bottom of the long slope. Where: Left turn at the first roundabout as you enter Lagos (from Luz), down the hill, cross the next roundabout. Lidl is on the left side of the road. 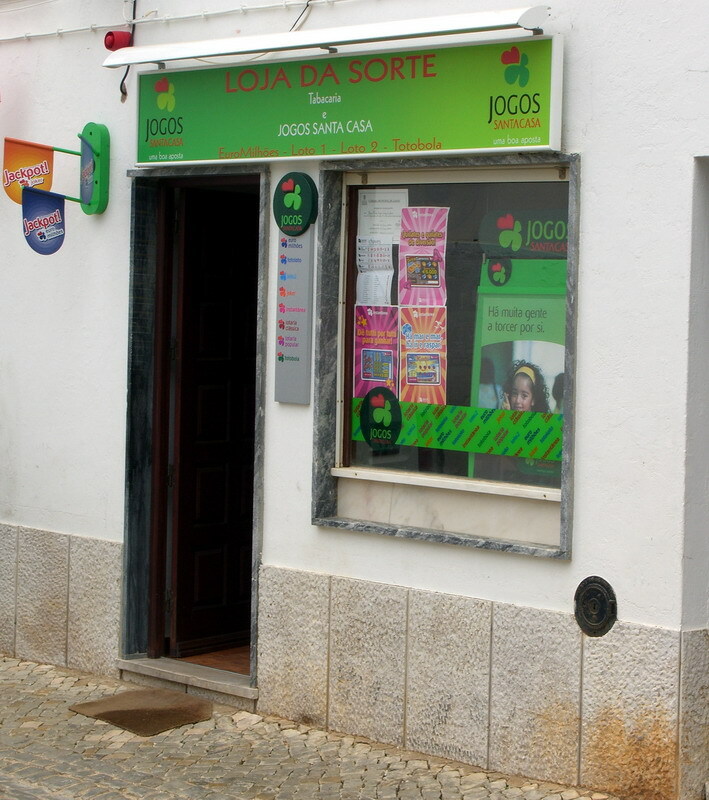 Part of a popular Portuguese chain. 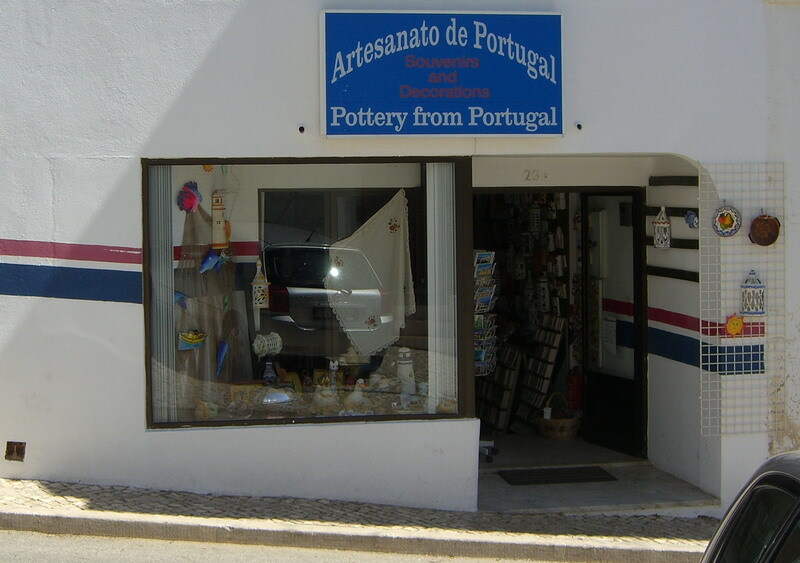 Part of a Portuguese chain. They do flower deliveries.